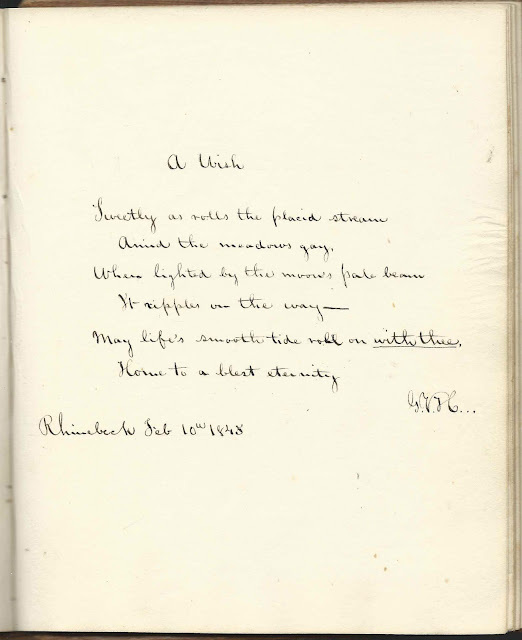 Autograph album that belonged to a Catherine, presumably from the Rhinebeck, New York area, as that is the only place mentioned. 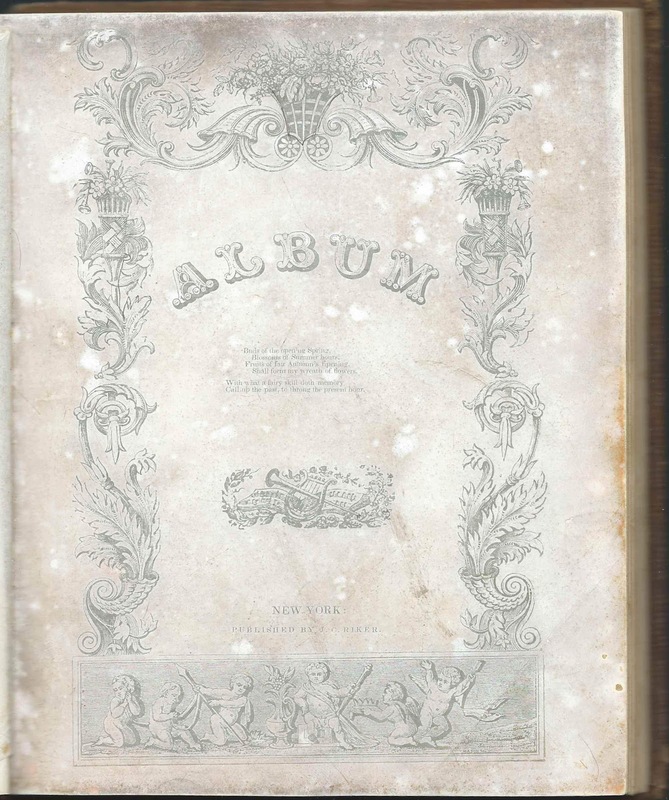 The album contains the calling card of Mrs. Edwin Hill. 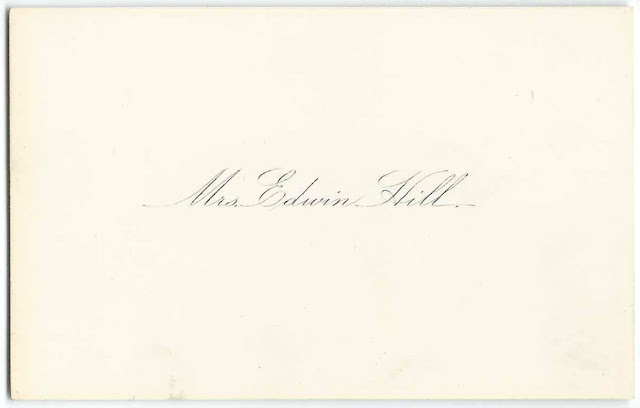 Interestingly, an Edwin Hill (1820-1905) lived his adult life in Rhinebeck, New York; even more interestingly, his wife was Catherine (Cramer) Hill (1823-1913). This Catherine may have been the album's owner. Catherine (Cramer) Hill was the daughter of Jacob Wendell Cramer and Clarissa (possibly Kip) Cramer. 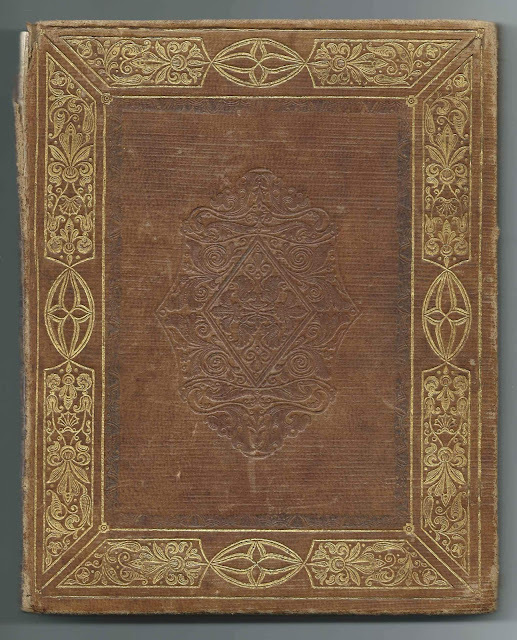 Interestingly, Catherine's brother Charles I. Cramer (1812-1893) married Eveanna Van Steenburgh (1821-1917), who is presumably the Eveanna who inscribed a page in Catherine's album. 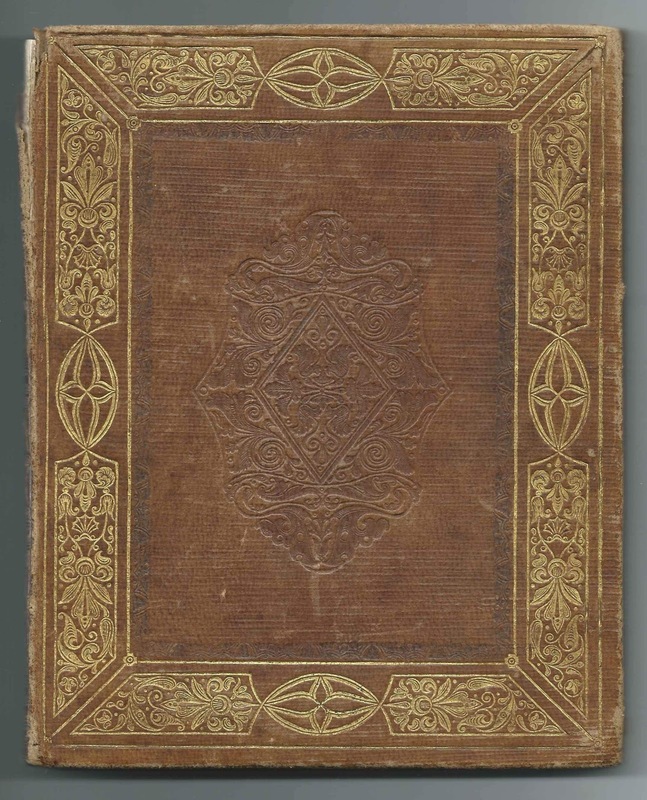 The album, which measures approximately 7-3/4 by 6", was printed by J. C. Riker of New York. 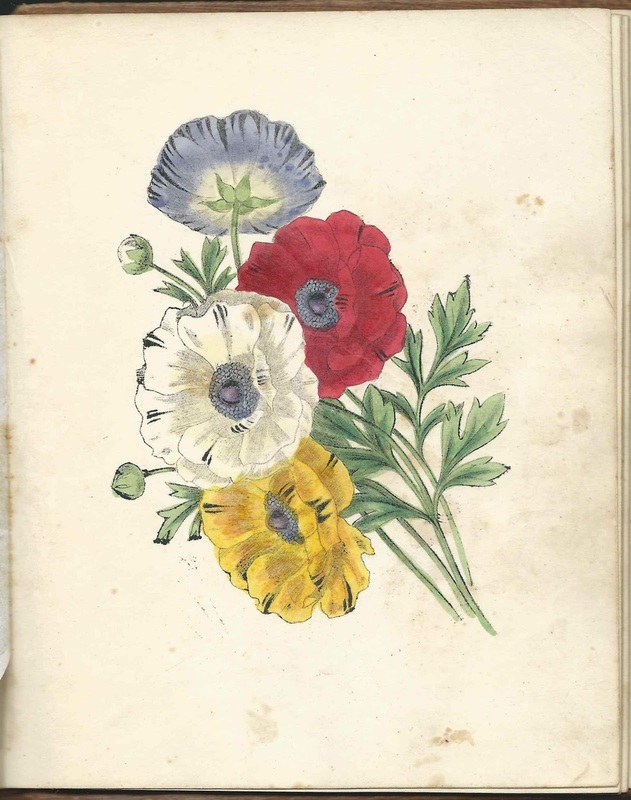 In addition to the eight inscriptions are four hand colored engravings of flowers. If the owner of the album was not Catherine (Cramer) Hill, multiple other Catherines lived in Rhinebeck during the appropriate era. If you feel that the owner was Catherine (Cramer) Hill or if you can tease out another identity for her or any of the inscribers, please leave a comment or contact me directly. Mrs. Edwin Hill - her calling card. 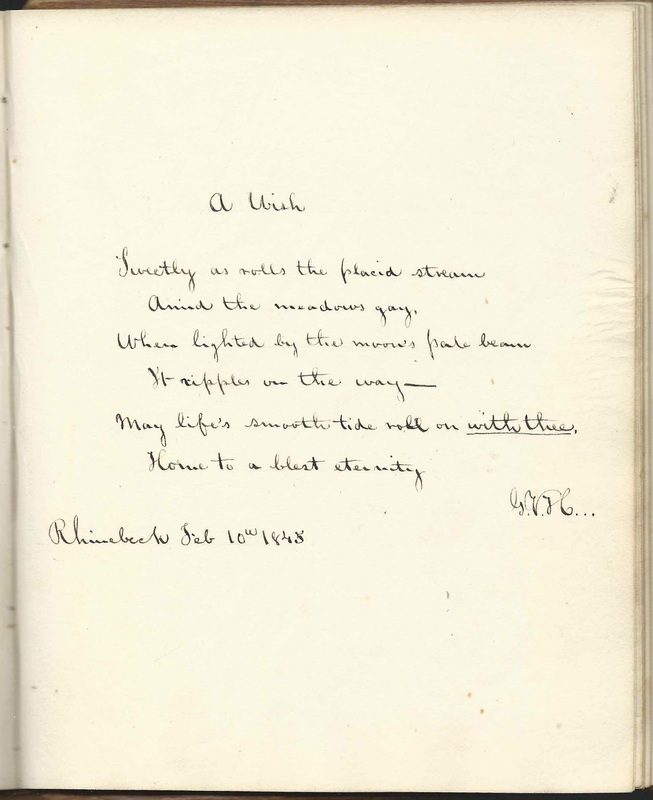 Interestingly, Edwin Hill's wife was Catherine (Cramer) Hill (1821-1913); she may have been the owner of the autograph album.